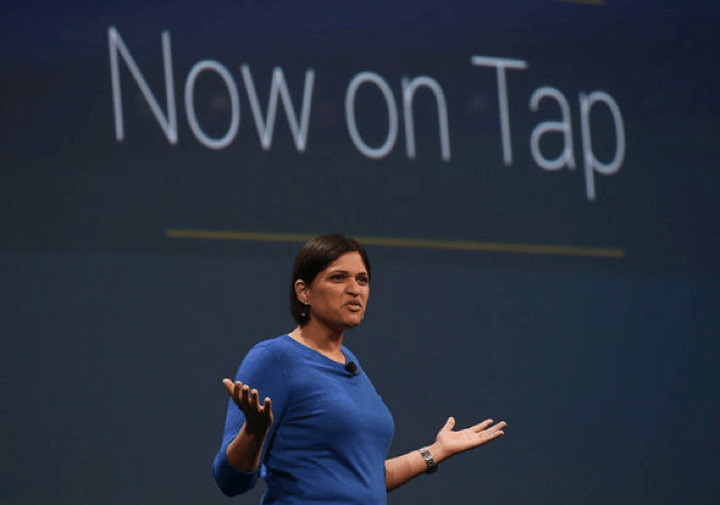 When Google announced the smarter version of Google Now called Now On Tap in a company event this year, it was only a matter of weeks that Apple followed with updates on Siri. Soon Microsoft followed with upgrades in Cortana. The common ground for the fierce competition between these technological giants is a concept, which is at least half a century old; Artificial Intelligence (AI). It was the deepening interest in this holy grail of Silicon Valley that made Google purchase DeepMind for $400million and resulted in Facebook’s acquisition of Wit.ai earlier this year. Statistics show that new startups are rushing to join the bandwagon. According to CB Insights, more and more AI based startups are being funded with some companies like Sentient Technologies raising more than $100 million in funding after being operational for only a few years. But as the world rushes to admire driverless cars and more advanced drones and stakeholders increase investment in companies behind such feats, analysts predict that it is not only machines and robots that are being made artificially intelligent. We are moving toward a future where entire companies could be run by machines without human interaction. It could be due to their increased capacity to learn or their use of algorithms to create Machine to Machine (M2M) and Machine to Consumer (M2C) companies. There are two technologies we are using that indicate such a future is in sight. These are computer programs that make virtual contracts possible by facilitating, verifying, or enforcing the negotiation. In most cases they have a user interface and logically emulate real life contracts. The revolutionary public ledger technology that underpins cryptocurrency chronologically has the potential of changing financial services, as we know them today. No wonder that world venture capitalists and multinationals like Wells Fargo are investing so much money into it. This revival of interest in AI is also perhaps the result of recent advancements in machine learning. IBM, for instance, is already developing neursynaptic chips, inspired by human brain, which are capable of recognizing patterns and manage senses. Many scientists predict that if we continue to make technology artificially intelligent at our current pace, we will soon hit the point where AI will exceed human intelligence. This is something Google probably always knew. Software based AI companies have the potential of running away with AI faster than the hardware based companies and as Google, Apple and Microsoft compete to give consumers smarter phones, guess who has the potential to take the lead? In his piece in Fast Company, author John Brownlee toys with the same question. “The thing is, Google knew something we didn’t. It knew that Apple’s taste was a temporary advantage. It knew that designing a host of functional, universally integrated services was harder than designing pixels. And in the protracted thermonuclear war between Apple and Google, which first started when the search giant launched Android in 2008, Google knew that ultimately, it would be AI, not UI, that would win the war,” he wrote. So the concept behind Google’s Now On Tap is that when a friend asks you to meet somewhere, your phone should be able to automatically add the event to your calendar, prompt you when it is time to go, give you directions, show you where to park and other stores that could be of interest to you. It will also of course remind you to get milk on your way back. The world will inevitably change. Industries like healthcare and insurance, with large volumes of data to process are the ones most attracted to embracing AI. Digital Marketing too is being driven by data faster than ever before. EMarketer predicted that some 55% of all digital advertising dollars will be driven by programmatic initiatives in 2015 as machine learning takes precedence over human analysis. The figure is predicted to rise to 63% by next year, which represents $20 billion in programmatic ad buys. This means, more and more digital marketing agencies are evolving into platforms that use big data and artificial intelligence to analyze, predict and improve marketing ROI. But we have been going down this path for quite sometime now. Automation was once a novel idea, now it’s the norm. Ticket machines replaced human beings long time ago. And with Google, Apple and Microsoft offering smarter virtual assistants to us today, tomorrow seems even freer from human interaction. I wonder whether this change would make us lonelier or more social. With our entire career paths disrupted by advancements in artificial intelligence, we would have all the time in the world we complain today of not having. The question is what will we do with it? In our rapidly evolving digital planet, whatever does not become better, faster and smarter inevitably faces extinction. In the run for the survival of the fittest, everyone wants to save time, energy and money but at the same time it is equally important to reinvest some of the time, energy and money to revisit and improve key areas of strategic development. Build the network you will need tomorrow, today. Start with your existing contacts and peers you enjoy working with most. Then actively search for people you want to learn from and work with. Use smart tools like SocialBro to find people of interest on Twitter. Organize your contacts on LinkedIn and Google+ into folders and circles. Connect with people before you are about to meet them at a conference. In the chaos of social media marketing, it is very easy to get distracted and the key is to stay focused. Yes, I said steal. Steal ideas from other industries. Expand your reach and interact with people with widely different expertise than yours. Make use of knowledge transfer and who knows, a fantastic new idea might just be a conversation away. Work with as many partners as you can. Not only would this make your product or service more valuable to the customers, but it will also help you tap into an audience that would not be aware of you otherwise. Use Google Analytics to determine which page of your site drives most traffic. See what does not get attention. Is that even needed there? Start by removing one thing that your site can do without and continue the process of elimination until you are left with the absolute necessary features and content. When you remove something, whatever is left behind has an even greater impact than it had before in all that clutter. After you are happy with your elimination process, consider displaying some strong testimonials on the homepage. Good reviews work. People want to see what others are saying about you. Make it convenient for them to find out. Displaying logos of the brands you have worked with also builds repute. Do not ask too many questions. Do not ask what you do not need. People want things easy, fast and simple and often they will share a little bit of information for what you have to offer but not be keen on filling out tedious forms. A simple email address from your customer should be enough for them to click on the adjoining download, join or subscribe button. Create smart emails for your clients and customers to help them understand how your product or service is solving a certain problem. This could be in the form of infographics, cheat sheets or a PDF of tips and hacks. Everyone loves a free download. Appear regularly on blogs that reach out to your target audience. Focus on quality and continuity. It will not only give you new avenues to reach out to potential clients but also help you build your voice in the digital arena. Dedicate time for reading and catching up on industry trends. Copy and paste anything you find interesting in a separate document. This will grow to become your idea pool. When something interesting happens at work, when your suggestion works for a client for instance, make a note of that. Add that to the pool. A suggestion that worked for one client can help hundreds more out there. This will make your pool even stronger and when you sit down to write your guest blog, you will always have great ideas to choose from. Why should anyone come to you for your services? Ask yourself the hardest question and then make sure you find a satisfactory answer. Use your mobile phone and tablet to visit your website regularly. Go through links. Find reviews. Fetch reviews. See what others are saying about you. Respond to questions through social media. In doing so you will reinforce your position as an industry expert and strengthen your existing network. Every week SocialFresh is spotlighting a different company who wants help with their social media marketing, from blogging and Web site content to SEO and email. The company says chat participants will brainstorm answers the company’s the social media questions, submitted ahead of time with their application form. To take part, simply log onto Twitter on Mondays at 4:00 PM PDT (7:00 PM EDT) and use the hashtag #SocialFresh. I recommend Twitter chat Web sites like TweetChat.com or TweetGrid.com. I’ll be looking for feedback on how this works, being a big fan of the power of crowd-sourcing myself. Please feel free to add comments below and keep us all posted on how this format works!